Can Philips' light-framed monitor save us from the ravages of eye trauma? The Lightframe technology Philips is selling its Brilliance 22inch X-Line monitor on is going to divide buyers. Those concerned about eye strain will probably lap it up. Others will see it as a waste of time. But the truth sits somewhere in the middle: although the frame didn't make a huge amount of difference to our standard level of caffeinated eye fatigue, it did make reverting to a standard monitor slightly less enjoyable. Lightframe aside, Philips' screen is one of the best we've seen. It boasts a 12,000:1 contrast ratio and 2ms response time for its customised SmartContrast and SmartRatio technologies, but the reality is closer to 1,000:1 and 5ms. The black representation and response times were astonishing, though, making it great for gaming and photo editing. The big question is whether or not the Lightframe is worth spending the extra cash on. 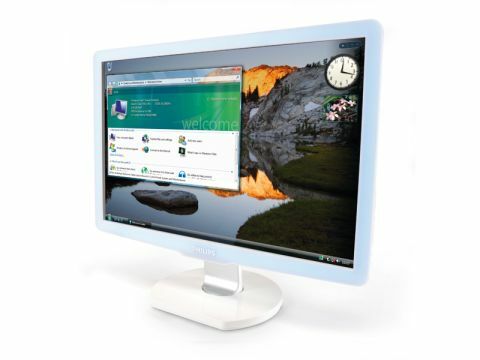 With standard – and similarly specced – Philips monitors costing £150, it does seem like a high price to pay.